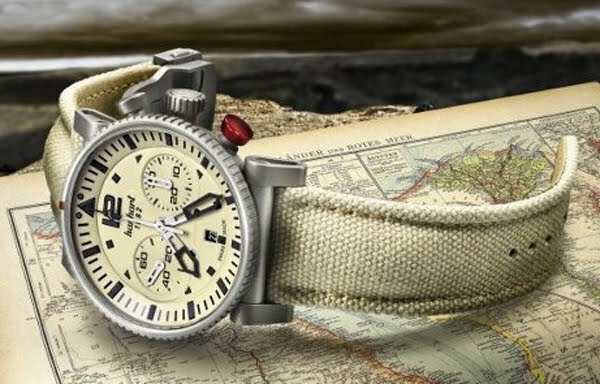 The Primus Desert Pilot, which is a contemporary take on legendary pilot's chronographs, is the ideal watch for precision timekeeping in the air. 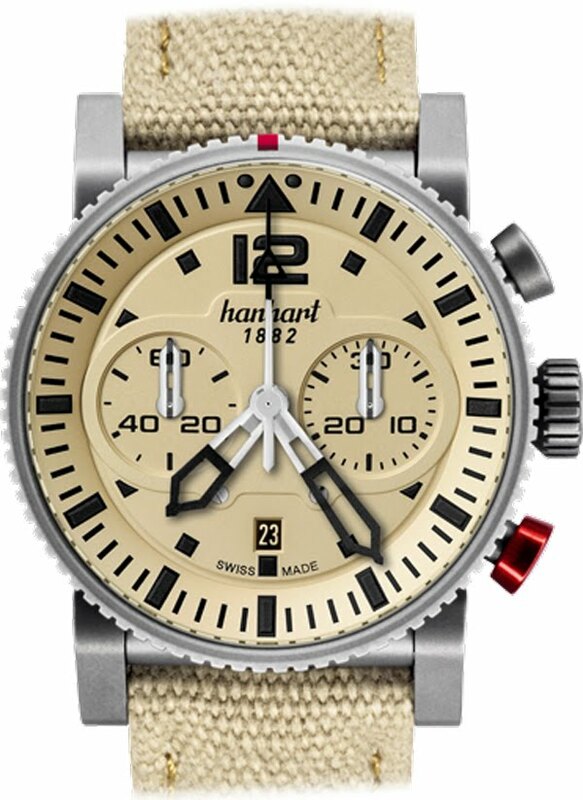 Reminders of Hanhart's tradition are made clearly recognisable: one of the brand's distinctive features, the red button, has been a distinguishing characteristic of Hanhart chronographs since 1939 and was previously intended to prevent pilots from unintentionally resetting the stop time. Because pilots previously operated the crown of their wristwatch whilst wearing gloves, it had to be as large and slip-proof as possible, as today on the Primus Pilot.